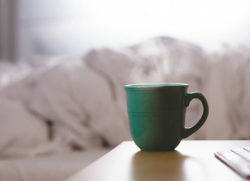 People tend to consume more caffeine during stressful periods and rely on it to keep going during adrenal fatigue.Caffeine slightly elevates dopamine, the feel good brain chemical, but makes you feel more awake and energized primarily by blocking the activity of adenosine, the brain chemical that makes you drowsy. The reduction in adenosine activity triggers your stress response, which stimulates your adrenals to pump out more adrenaline and cortisol. These stress hormones raise your heart rate and blood sugar (energy), and sharpen your mental focus, among other things. All good when used occasionally to keep you alert at the wheel or during some other crucial task, but when you are already chronically stressed, regular caffeine use can become a not-so-good added stress on your system and a further drain on your adrenals if you are experiencing adrenal fatigue. Using caffeine or stimulants for energy is like borrowing from the bank. If you don’t also make deposits, after a while you’ll be running on empty or at a loss. What can you do to get energy without caffeine and further stressing your system? There is only one form of fuel your body can convert to energy–adenosine triphosphate (ATP). Although a small amount is produced and stored in your muscles for quick response, by far most of the ATP your body and brain run on is derived from the food you eat. Energy is generated through the conversion of glucose, fatty acids and amino acids to ATP in your mitochondria, which act as cellular energy power plants. Therefore, many of the ways to enhance energy promote this conversion process. Having good, steady energy reserves and feeling energized require a lifestyle that supports ATP production. Eat nutritious food: Each meal and most snacks should include complex carbohydrates (whole grains, vegetables, fresh fruit), good quality protein (fish, chicken, eggs, meat, dairy, soy, lentils, other legumes, nuts or seeds), and good quality fats (fresh olive, coconut, sesame, flax or other nut or seed oils, or ghee). Proteins are broken down into amino acids that build your cells and the enzymes that digest food into useable components and mobilize biochemical reactions, including ATP production. Carbohydrates are broken down into glucose which fuels ATP production. Fats are broken down into fatty acids, which yield more ATP per gram than glucose. Amino acids, fatty acids and glucose are all essential ingredients of ATP (energy) production. Have regular meals: Eat at least three moderate sized meals at regular intervals throughout the day. Having your meals on a regular schedule keeps blood sugar balanced and ensures a steady supply of the raw materials for energy. Avoid refined carbohydrates: Refined carbohydrates like sweets, doughnuts, pastries, white bread, rolls, chips, crackers, etc. quickly raise your blood sugar for a bump in energy but then they dump you lower than you were before. These same nutrients are also necessary for adrenal hormone production, an important factor in your ability to draw on energy reserves. Although a healthy diet should provide all of these nutrients, many factors interfere with getting an adequate supply, including stressful lifestyles; excessive consumption of caffeine, other stimulants, sugar and alcohol; smoking; dieting; rigorous exercise; digestive problems; illness; old age; some medical treatments and drugs; inadequate protein intake; etc. Because even a marginal deficiency of any one of these nutrients will compromise the ability of your cells to produce energy or your adrenals to produce hormones in adequate amounts, taking a multivitamin/mineral supplement can help ensure they get what they need. It’s important that the supplement contains properly balanced ratios and amounts of the B vitamins and the minerals that correspond with how your body uses them. Sustained release enhances absorption of both the minerals and the water soluble vitamins. 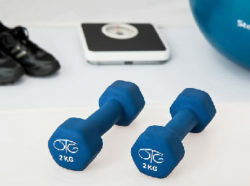 Exercise increases your energy and your body’s capacity to generate energy. When you exercise, ATP production rises and new mitochondria (cellular energy power plants) are formed in your muscle cells. More mitochondria mean more ATP and more ATP means more energy for you, plus greater endurance and resistance to fatigue. That’s why you can feel more energized after a workout than you did before you started. Aerobic exercise (jogging, running, cycling, swimming, Zumba, dance, etc.) can produce large increases in muscle mitochondria and ATP production. Interval training (alternating short bursts of fast aerobic exercise with resistance or less aerobic exercise; for example running/walking, cycling/weights, dance movement/bar exercises, most active team sports, wrestling, etc.) amplifies mitochondrial growth and ATP production beyond either type of exercise by itself. While your cells can make some ATP without using oxygen, cellular respiration using oxygen is far more efficient and is essential to human life. Only 2 ATP molecules are produced per glucose molecule without oxygen, comparedto the 32 with oxygen. The oxygen from the air you inhale enters your blood stream and is carried to your cell mitochondria where it combines with glucose to make ATP. Carbon dioxide is a byproduct of this process exhaled out of your body. Oxygen also plays an important role exercise recovery by restoring ATP levels and helping break down lactic acid into simple carbohydrates. Correct breathing – Breathe through your nose if possible because it promotes a deeper, slower breathing pattern that increases your oxygen intake. If you are temporarily unable to breathe through your nose, be conscious of breathing deeply and slowly whenever you can. Your chest and abdomen should move in unison. Watch how healthy small children and animals breathe and you’ll notice that their bellies rise and fall more noticeably than their chests. Breathing exercise – 5-10 minutes once or twice a day (can be done in bed) of breathing deeply from your belly will improve your breathing efficiency and oxygen intake. Lie on your back and or sit up straight. Place one hand on your stomach and the other across your chest. Count slowly to 4 as you inhale, feeling the hand on your abdomen rise first as though you were expanding a balloon there. Hold your breath briefly and then exhale counting slowly to 4, feeling the hand on your abdomen fall first as though you were slowly deflating the balloon. With practice you can gradually increase your length of breath count. Aerobic exercise increases your breathing depth and rate to bring in more oxygen. Oxygen from food – Water, raw vegetables and fruit all contain oxygen that your body can extract. Iron is essential for transporting oxygen through your blood. Include iron-rich foods in your daily diet, such as meat, poultry, fish, legumes and green leafy vegetables. 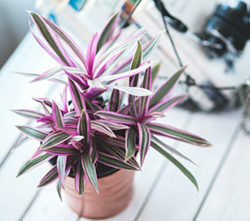 Grow plants – they take in carbon dioxide and create oxygen. Trees are especially beneficial. Fresh air – Open the windows whenever possible and use a good air filtration system if you live in a smoggy or allergenic area. Avoid excessive use of incense and air fresheners. Get adequate sleep: Everyone has experienced the energy recharging effects of a good night’s sleep. ATP production surges during sleep and many other systems are replenished and brought back into balance. See the section above on Sleep and Stress for tips on getting a restful sleep. Hydrate: Dehydration drains your energy and can impair ATP production. Drink at least 6 to 8 8-ounce glasses of clean water (not soda, sports drinks, juice, etc.) a day. Balance your stress response: Proper function of your hypothalamic-pituitary-adrenal stress response with adequate levels of adrenal hormones, especially adrenalin and cortisol, is essential for the release and maintenance of glucose in the bloodstream where it can be transported to the cell mitochondria for conversion into ATP. Adaptogenic herbs like ashwagandha, maca, licorice and eleuthero can help sensitize responsiveness of HPA axis function and support adequate adrenal hormone production. See the Balancing Your Stress Response section for tips. 1) Get rid of or minimize energy robbers: People, activities, environments and habits that sap your energy are “energy robbers.” Unfortunately, they are often prevalent in the lives of stressed people and until you minimize their influence in your life, it’s difficult to fully energize yourself. For step-by-step suggestions about how to lessen their drain on your energy, read pages 99-107 of chapter 12 in Dr. Wilson’s book, Adrenal Fatigue: The 21st Century Stress Syndrome. The most important part is realizing you have some control over your life and taking action. 2) Vacation: Plan and take regular vacations – even if it’s only a few days, preferably experiencing something or going somewhere different than your normal daily life. New experiences bring fresh perspectives and are stimulating. 3) Exercise: Exercise can help you release negative thoughts and emotions while making you feel stronger, more in control and energized. After a stressful event, doing something aerobic like taking a brisk walk or quick jumping jacks deepens your breathing, and helps relieve the tension and free up your mental energy. As a regular practice to relieve the accumulated stress of the day or week and center yourself, the fluid movement and focused breathing of yoga or tai chi help restore a sense of energized serenity. 4) Sunlight: Sunlight increases the release of the brain chemical, serotonin, which elevates mood. Get 10-15 minutes a day of direct, i.e. go outside, sunlight or use a full spectrum light if you live in a cloudy area. 5) Fresh air: Spending even just a few minutes deeply breathing in fresh air can be mentally refreshing and help clear away the negative cloud that tends to accumulate when you have your head down, nose to the grindstone. 6) Social support: People who have a strong social network of friends and/or family they actively nurture tend to be happier and more engaged in life. Make time for people you enjoy and care about. 7) Imagination: Your imagination is one of your most powerful tools for freeing your mental energy from the drain of habitual negativity and anxiety. It takes some practice because you are learning to replace an old established habit with a new one. There are many techniques for doing this so find one that works for you. Below is an example of a simple 2-minute exercise using your imagination that can help free up some mental energy from stress. Notice yourself feeling tight and dispirited/drained/overwhelmed. Close your eyes for a moment and feel what part of your body is the tightest/heaviest. Imagine the tightness/heaviness has an unpleasant color, sound or feeling (like a hard rock, heat, etc.). Some people are visual, some are auditory, and some are kinesthetic. Just go with what seems most real to you. Start breathing slowly and deeply, imagining that you are breathing into that part of your body. As you breathe in, imagine a pleasant is flowing with your breath into that part of your body. Exhale completely each time, imaging that you are breathing out the unpleasant color, sound or feeling. Continue until your 2 minutes is up or you notice some release in that area. Open your eyes, take a deep breath, stretch and continue on with your day feeling a little lighter and more energized. Repeat as needed – practice makes it easier and quicker to get results. Every hour during the work day take 1-2 minutes to get up and stretch your arms, hands, back, legs, feet and neck. Do a few jumping jacks, jog on the spot or do something else that gets your blood flowing, heart pumping and breath deeper. If you are stressed and wired, snack on a piece of fresh fruit instead of junk food, baked goods or soda. If you are stressed and experiencing adrenal fatigue, have a glass of water with a little salt (1/8 tsp/8oz. or to taste) instead of coffee or soda. Take a mental vacation every few days by putting aside a few minutes to imagine yourself somewhere you’d like to go. Really put yourself there – feel what the air is like, listen to the sounds, smell the aromas, look around at all the colors, and notice what you’re wearing and doing. People vary in their daily mental and physical energy patterns. Pay attention to what time(s) of day you are usually the most productive, the most physically energetic, the most tired, and the least able to concentrate. As much as you can, fit your work into that pattern. For example if you are usually most productive in the morning and have a harder time concentrating in the afternoon, try to get your most demanding, detailed work done in the morning and do the more routine work in the afternoon. There are many breathing exercises (called pranayama in yoga practice) that have profound effects on your body and mind. Below are two simple ones that bring oxygen to your brain, are physically energizing and help clear your mind. Do them sitting down with your back straight and feet flat on the floor. Alternate nostril breath: With the thumb lightly closing your right nostril, inhale through your left nostril, counting to 4. Hold your breath for 4. Close your left nostril with your ring finger and release the thumb from your right nostril. Exhale through the right side. Inhale again through the right side. Hold your breath only if you feel comfortable doing so. Exhale through the left. Continue for 5 cycles. In this one it’s important to emphasize the exhalations, otherwise it may make you feel dizzy. If you feel dizzy, stop and take a few slow breaths. To start, open your mouth and pant like a dog. Then, close your mouth and continue panting through the nose. Do it for about 30 seconds then pause and take some deep breaths. Repeat if desired. Your sense of smell has a potent influence on your mood and energy – just think how the fresh smell of a pine forest makes you feel compared to the stale smell of yesterday’s cooking. Good quality essential oils can give you a quick energy and mood lift. Rub a couple of drops of pure peppermint oil and orange oil together in your palm and deeply inhale the aroma a few times. Try different aromatherapy mood/energy enhancers like French basil, ginger, clary sage, rosemary, any citrus scent, rosemary, cinnamon, etc. until you find the ones that work best for you. Listening and moving to an upbeat song can instantly lift your energy and mood. It doesn’t matter what genre of music it is as long as it energizes you. Find something that makes you really laugh out loud at least once a day, whether it comes from a joke book, listening to a comedian or just treating the daily dilemmas with a sense of humor. Eat at regular times so your body can anticipate and prepare. Take a moment before you put the food in your mouth to appreciate the food. The sensory experience of smelling and looking at food helps stimulate your digestive juices. Allow yourself time to just eat – not cramming something down while you work or rush from one activity to the next. Supplemental digestive aids: hydrochloric acid (Betaine HCI) helps break down proteins in your stomach, digestive enzymes help break down fats, proteins and carbohydrates (lipase, proteases, amylases). There are many options and combinations available. Some adaptogenic herbs were studied in the Russian cosmonauts and the results indicated that they may enhance stamina and “physical” energy. Adaptogenic herbs can help sensitize and balance your stress response, giving you more energy without resorting to stimulants like caffeine. Although the energy boost with adaptogens isn’t as quick and bold as that of caffeine, it won’t have the energy crash down side and it won’t be an added stress on your system.